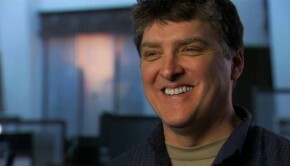 The music of the Halo franchise has been on a bumpy ride recently from the mixed commentary on the Halo 4 soundtrack to the dismissal of Marty O’Donnell from Bungie. 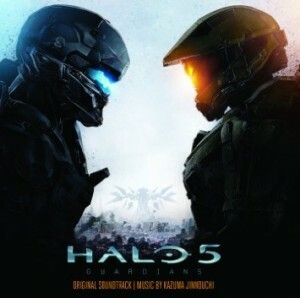 Kazuma Jinnouchi took over as lead composer for the Halo 5 project, and the resulting score is interesting. It unquestionably is a score for the fans – the two-disc tracklist brings in large-scale versions of classic themes from previous games, but Jinnouchi uses the central blue-vs-orange premise of the game to pit the older popular themes against some brand-new ones. The pitfalls that 4’s music experienced are decisively addressed, with some resulting pros and cons. On one hand, the presence of many of the more memorable themes in this score are certainly welcome, and very effectively create the in-game identities of several of the leading characters. On the other hand, some of the score suffers out-of-context as being too filler-oriented, and the dark intensity from track to track can, at times, leave the listener feeling like something is missing from the music. 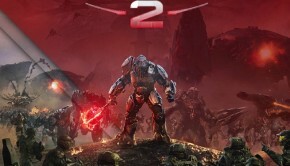 The first track, “Halo Canticles,” is a classic and welcome rendition of the Halo main theme, opening with the traditional Halo male chorus and evolving into a string arrangement. It’s quite beautiful, and the melody moves from the upper to the lower octaves as the choir fades to become a harmonic accompaniment. “Light Is Green” features an extremely simple melody with an elaborate, flashy string backdrop. The piece is part orchestral and part electronic, the brass melody alternating with synth sounds while the strings continue their part. The electronics merge seamlessly with the orchestra, and return in several other tracks, including “Kamchatka,” which features the same melody as “Light as Green” but with a heavier emphasis on percussion. The string background is lower and the added bass drum gives the entire piece a weightier feel. The percussion gives the album a quietly tribal feel. Given that the game takes place on an unexplored jungle planet, the style makes sense, and adds flavor to many of the returning themes. The popular Blue Team theme resurfaces in this game in “Scavengers,” albeit very mildly and only as a countermelody to a four-note motif that permeates the entire track. The percussion shows up from the very beginning – like “Kamchatka,” it consists of a simple bass drum, but the rhythm soon takes over the other instruments and becomes the center of the piece; the main melody is simple enough to allow this shift of focus. “Meridian Crossing” brings the electronics back in earnest, bringing the bass drum back with a weightier touch and uses the electronics as a support system to strengthen the percussion. I enjoyed this piece a lot – the strings take a simple two-note motif and place it in the upper registers while a second rhythmic theme takes over the alto range, and the percussion continues to pound out a route for itself in the basslines. The lines of music fit together well, but each one sounds as if it’s working out a unique part of its own, resulting in a very busy but not quite fully formed track. One aspect of the album done well is the ability Jinnochi demonstrates of creating this type of track – engaging and full of activity, but not particularly complete or developed. These tracks function as filler pieces without quite giving in to that label in terms of the activity going on throughout the track. “Crossed Paths” is essentially two minutes of build up with a beautiful, sweeping string wisp of a motif at the end, not even thirty seconds in length, but completely worth the wait, in my opinion. “Advent” never really features a distinct melody, but the whirlwind accompaniment lines – or what would be the accompaniment lines – are unquestionably the star of the show. “The Trials” is one of the highlights of the album. It opens with a pattern of solemn drumbeats and tied strings, but the piece begins in earnest as the drums pick up a quicker three-beat rhythm and the bassline is held by a low piano. The Blue Team theme plays briefly throughout the piece, but the rhythm that packs the piece is far more constant. In each melodic pause the rhythm endures, and the dramatic effect makes for a fun listen packed with energy. “Blue Team,” takes the theme of the protagonists of the game and plays in full towards the end of the second disc, in a beautiful rendition of the recurring melody. It’s nice that the theme receives an entire track, as it’s hinted at frequently throughout the album in various other pieces. The beginning of the piece is a pretty straightforward introduction, taking up almost a minute before the theme finally comes in. Opening on a solo cello, it eventually swells to soli strings and then to a brass march. The length of the introduction is disproportionate to the length of the track, which doesn’t quite hit five minutes. Once the theme comes in, it’s gorgeous, and Jinnouchi fills the soundspace with sweeping orchestra, choir, and stately drums. The album ends with the Osiris Suite, a four-movement conclusion that features the main theme of the antagonist. I am always a fan of specially arranged scores for album releases. When game music doesn’t translate to an album track list, a suite like this one helps to give the game its own musical identity, which Osiris Suite aims to do. The Osiris Suite opens dramatically, at first with set of eerie strings that rises in volume and dissonance and then quickly drops off to allow to for a triumphant brass mezzo-fanfare. The melody is solemn and reminds me a bit of the Destiny score. The piece then morphs yet again, dropping into lower registers with a catchy electronic pattern, before bringing in a heavy guitar to add flavor. The brass melody returns and begins repeating itself as the background elements change, from electronics to guitar to strings, each instrument building on the previous one. I found the piece to be rather haphazard on the whole – while I’m generally a big fan of stylistic mashups, it was hard for me to find any particular pattern taking place as the piece continued. The second act begins more quickly, opening immediately with a snare and beginning a rhythmic pattern that is instantly joined by brass and strings. The piece has a lot of drive to it, and while it pauses on occasion to allow a thoughtful rendition of the melody from Act I, it’s still a piece of constant motion, whether that motion comes from an electric ostinato or a bass drum, Jinnouchi uses his myriad of resources to develop a motion-oriented piece. I enjoyed the third movement – it opens with a diverse set of percussion that give the piece an exotic feel. The harmonic minor scale the piece centers itself on only adds to this style, and the now-expected pause in the middle of the piece is not quite as aimless as the ones in the other acts of the suite. A very low pipe plays a sobering melody before the flashy percussion and melody enters. The melody is the same one that has permeated the suite thus far, the Osiris theme, but pitted against the new key and percussive intensity, it takes on quite a different mood from the first two acts. Act 4 opens right where Act 3 left off, with the same string background playing against the melody. It soon breaks off to allow for a soli chorus moment, and after the strings have allowed the choir to ake over, they return in a very gentle supporting role. When the melody returns again, it’s not as a brass or even string fanfare, but as an entire choral symphony. It’s safe to say that the majority of the fourth act of “Osiris Suite” is on the pensive or somber side of the Halo score. It’s not devoid of movement, but neither is it constantly twisting and turning like the second act. The movement comes from small bursts of subtle electronic sounds or half steps in the whole notes being held out across giant spans of time. It’s not ambient, but neither does it have the immediacy or movement of any other track in the suite. Instead, Act 4 feels far more story-driven, like the end credits of a lengthy action movie. The ending picks up in intensity with a few large sweeps of Halo chorus, and the backgrounds string motif picking up one more time, but this time slowed dramatically until it fades off. The piece does not end, but fades away with some more mild electronic sounds. The Halo 5 score is dark, dramatic, and powerful – and can grow dull at a few points. The intensity of the score is nonstop – while some tracks and themes benefit from the direction, the lack of diversity from track to track can make the overall sound monotonous, and the score feels as if it’s aiming more for safe than for really good. That being said, the revamped themes are fun, and the score as a whole is very well orchestrated to make for rich sounds. 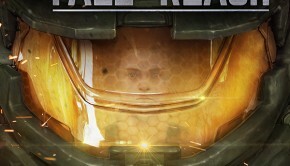 Halo 5 is available for download on iTunes and Amazon. Posted on December 1, 2015 by Emily McMillan. Last modified on January 19, 2016.